Late last week, a court in South Africa made a controversial decision: it ruled that the country's moratorium on trade in rhino horn should be lifted. The ruling has added fire to an already fiery debate that pits those who claim legal trade could help stem South Africa's poaching crisis against those who fiercely oppose it. 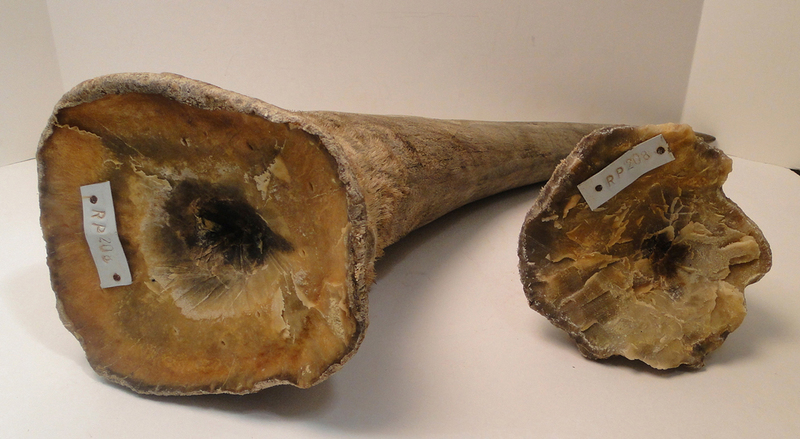 Trade was legal in South Africa until fairly recently, but amid rising poaching levels and fears that local trade was delivering poached horns into the hands of international trafficking networks, the government stepped in to ban it in 2009. Poaching levels, however, continued to spike, with 1,215 rhinos killed for their horns last year, according to official figures. Proponents say rhino horns can be sustainably harvested, and demand from Asia for this astonishingly high-priced commodity could be met through legal, well-regulated trade, while generating much-needed cash for conservation. On the other side of the vast divide are those who believe legalising trade will intensify both poaching and Asian demand for horn products. Whichever side of this intense and complex debate you’re on, here are some things worth knowing about last week’s ruling. Two South African rhino breeders, John Hume and Johan Kruger, took legal action to have the ban lifted back in June this year. Between them, the ranchers own more rhinos than anyone else on the planet – Hume alone had over 1,200 of the animals, mostly white rhinos, at the time the ban was imposed. He’d also stockpiled 4,000 kilograms of rhino horn, his investment running into many millions of dollars. The gist of their legal challenge? The duo took issue not only with the effectiveness of the moratorium (arguing that it was “incapable of achieving the rhino conservation objective it was designed for”), but also with the way it had been imposed. South Africa’s environment ministry, they argued, had failed in its legal duty to properly notify the public of its plans to impose the ban. Hume also argued that his status as South Africa’s largest rhino breeder – and therefore the person who stood to lose the most once trade was illegal – entitled him to a personal notice of the proposed ban. So what did the judge actually say? Despite some panicked reactions on social media and a few pretty dramatic headlines, most experts are not painting this as a significant victory for the pro-traders. Throughout his 37-page judgment, the judge maintains that there were solid, legitimate reasons for the ban to remain. In the end, the ruling hinged on a bit of a technicality: the government had not, as it was required to do by law, taken the right steps in notifying the public and inviting in-depth consultation before the ban was introduced (its missteps were as seemingly trivial as publishing notices of the ban in local rather than national newspapers). Glad you asked. Aside from emerging red-faced because of its procedural blunders, it appears the government was also criticised for dragging its feet on several measures that were meant to bolster the ban's effects. 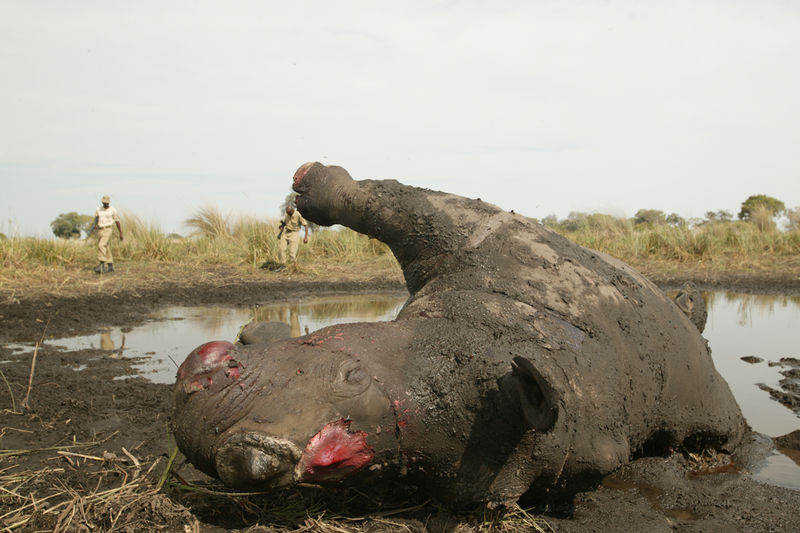 The moratorium on domestic trade, the judge notes, was not intended as a permanent measure in the first place (moratoriums are, after all, temporary by definition) – but other key steps to protect rhinos, like conducting audits of rhino horn stockpiles and enhancing security at borders to clamp down on smuggling, had been delayed for too long in the interim, causing poaching levels to spike. 1,215 were killed for their horns in South Africa last year, most of them in the iconic Kruger National Park. The country is home to 80% of the world's rhinos. So does that mean anyone can start trading horn in South Africa? Not really. For a start, the government has already indicated that it plans to challenge the ruling – and once that appeal gets underway, it says, the decision to lift the ban will be suspended. Either way, any hopeful traders would face strict regulations and control – including having to obtain trade permits from the conservation authorities. And things get even murkier from there. Last week's ruling relates only to trade within South African borders – international trade remains illegal, as it has been since it was banned by CITES (the treaty that regulates international trade in wildlife) all the way back in the 1970s. For any potential trader in South Africa, that cuts off any [legal] routes to the principal markets for rhino horn: Vietnam and China. “The problem for potential sellers now is that the end user market remains essentially outside of South Africa, but exports remain illegal. Anyone trying to sell horn [would need to] either sell to someone who is a speculative investor or who intends to export illegally ... and I am sure the authorities will be keeping an eye on that,” says economist Michael 't Sas-Rolfes. You're not alone. It's logical to wonder why traders would go to court to push for domestic trade when their main market lies out of reach in Asia. It's likely they've set their eyes on an upcoming CITES meeting next year, where, as reports suggest, South Africa will petition for the lifting of the ban on international trade. "By overturning the [domestic] ban, rhino owners might want to influence how nations vote at the CITES convention in September," writes Anton Crone for The Daily Maverick. Still, many experts agree it's very unlikely they'll get their way. For the international ban to be lifted, the majority (two-thirds) of the 180 CITES member countries would need to vote in favour. "The impression I get is that most nations are extremely nervous about allowing such trade and vast numbers within non-governmental organisations will undoubtedly actively lobby against it," writes former CITES chief John M. Sellar. As we wait to see how events unfold, experts can only speculate on just what sort of impact the reopening of domestic trade might have within South Africa, and just how it might affect the country's high levels of poaching. "Until the CITES conference reaches a decision in 2016, if it does end up being asked to debate the issue, this court judgement, to my mind, takes the matter no further forward," Sellar adds. Watch some of the most exciting, endearing and heartbreaking rhino stories of the year.